$800 million controlled by Bank of America in funding being pulled from the development initiated the other lender from financing due to they say a default. 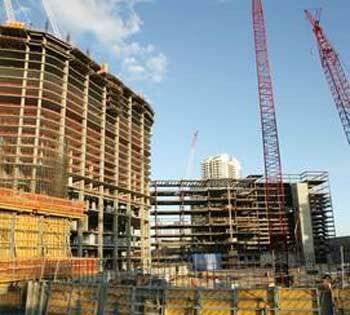 Developer spokesman states the Las Vegas Nevada hotel project is continuing but with less work force. Representatives for Fontaineblau Las Vegas Strip hotel two weeks ago has filed a $3 billion lawsuit against Bank of America and additional lenders. Funds being pulled are slowing down the contractors on the 24 acre construction site in fear of not being paid on time. Contractor were previously aware of this possible situation. Funding would have paid workers up to a month ago. Las Vegas hotel developer denied $130 million in funds and cuts workers.